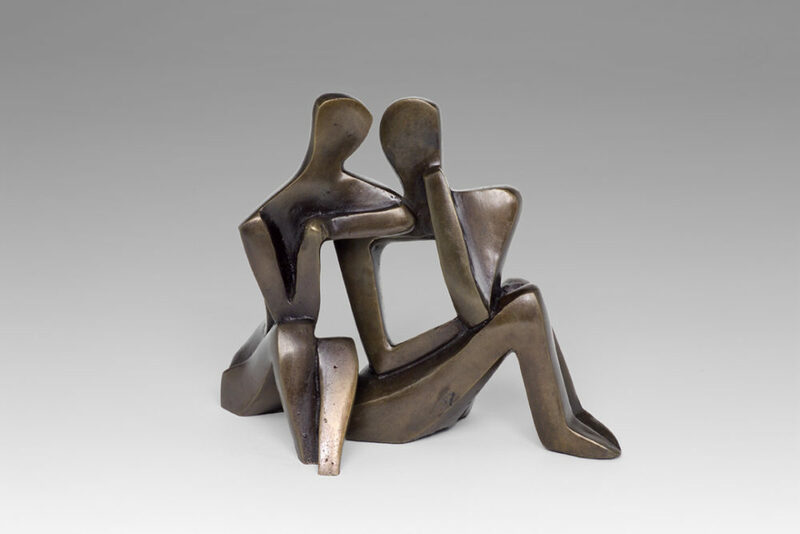 Put together, the two bronze sculptures of a man and woman portray the couple as a close unit, leaning in affectionately towards each other. 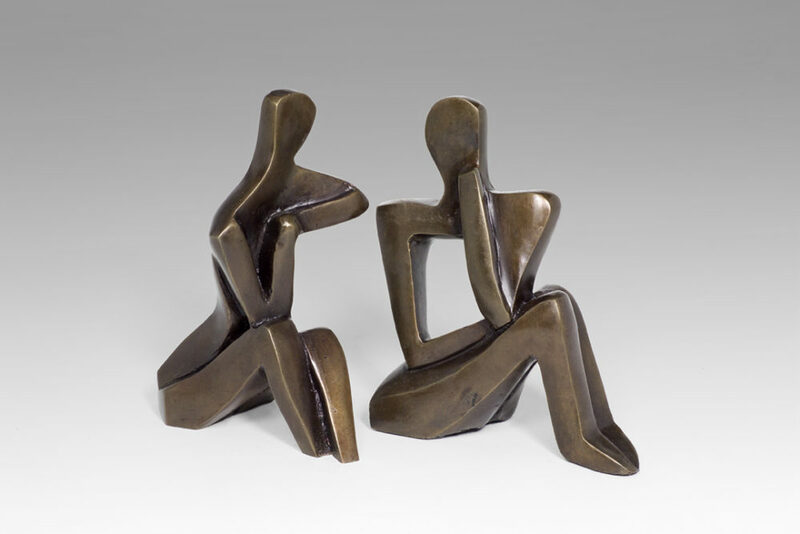 Separated, the figures act as a reminder that the couple is formed of two individual personalities. This is a limited edition piece of just 100 castings and is hand signed and numbered. It comes with a certificate of authenticity from the sculptor.